Three dresses with a “corseted” waist silhouette, Butterick Fashion News flyer, December 1937. 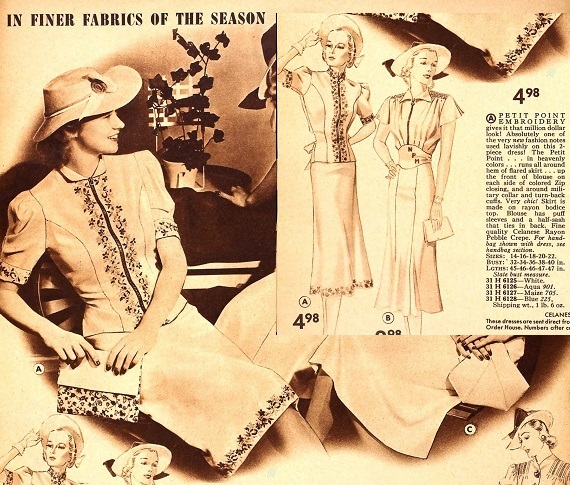 These patterns from December of 1937 are a far cry from the corseted waist of the early 1900s. In fact, the “corset” refers to a tightly fitted waist section that is part of the dress itself –no boning, no constriction. 7615, at left, shapes the waist with a peplum and belt; 7636, center, has a curved seam located where an actual waist-cinching undergarment or structure would be ten years later, and 7640 has a built-in notched velvet “girdle” [sash.] All three dresses have high, uncomfortable looking necklines and similar sleeve caps. Butterick dresses with the “corseted silhouette.” Patterns 7615, 7636, and 7640. 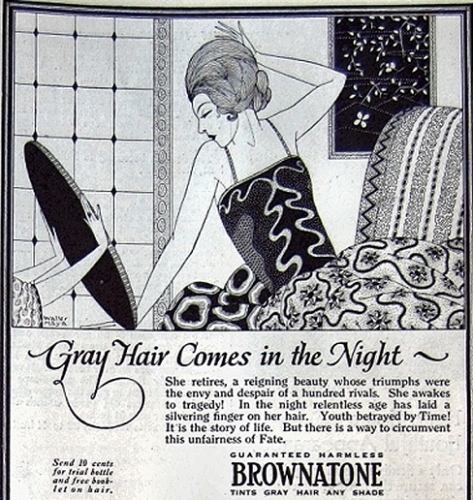 Dec. 1937, BFN, p. 5. As a tiny waist becomes important, the shoulder area gets wider. 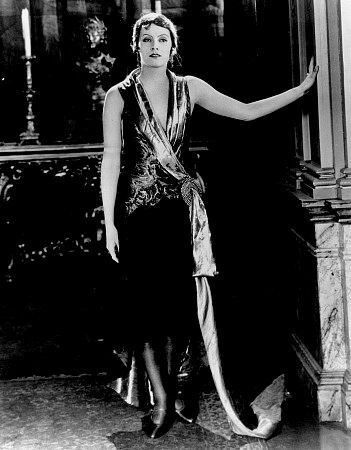 The corseted silhouette appeared in day dresses, evening gowns, and even in blouses. 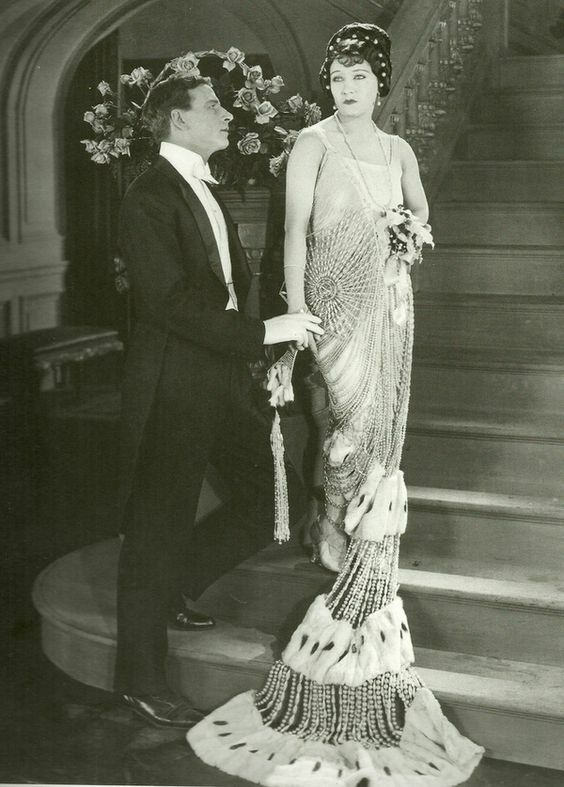 The two evening gowns at left have the corseted silhouette, one trimmed with a row of tiny buttons, and one gathered to echo the sleeves. 1937. Butterick evening gown 7626; black velvet was suggested. The back view shows a seam at the bottom of the “corset” area. 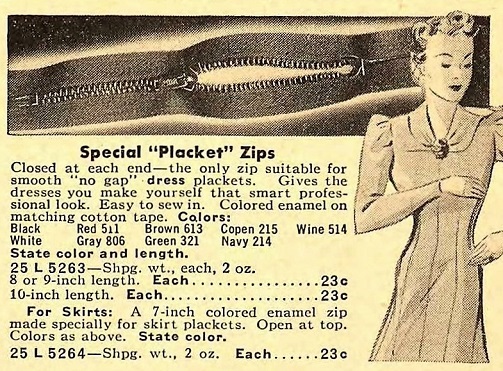 The dress has a typical 1930’s side seam closing; in 1937, zippers were replacing snap closings. 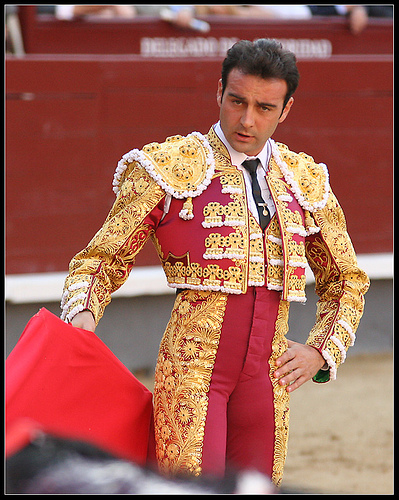 There’s a short zip at the back neck closing, too. These high necklines and sleeves suggest dresses for dinner & dancing. 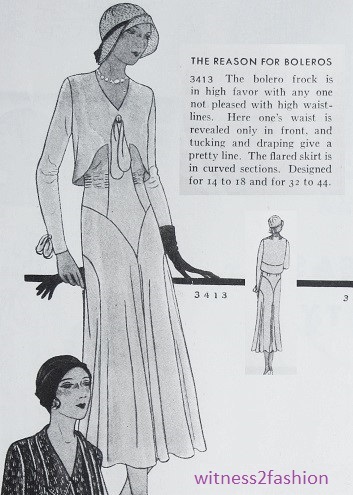 Butterick evening gown 7624 has “the new slim corseted waist,” BFN, Dec. 1937, p. 9. Butterick evening gown, “slit up the front,” BFN flyer, page 8, Dec. 1937. Butterick blouse 7629, BFN flyer, Dec. 1937. 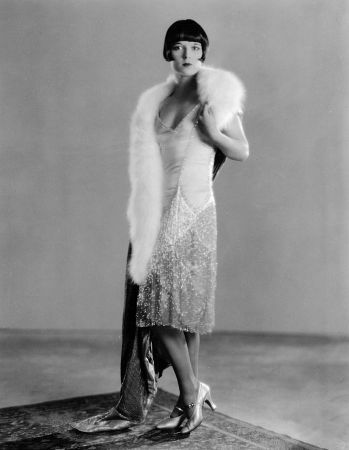 There is ruching (stitched-down gathering) at the neckline, the sleeves, and the midriff seam. The back view shows a belt. Back views of four blouses. I can’t resist showing the other blouse patterns from this page, although they do not have “corset waist” silhouettes. Butterick blouse 7623, December 1937 BFN store flyer. Hat pattern 7631 was also illustrated. 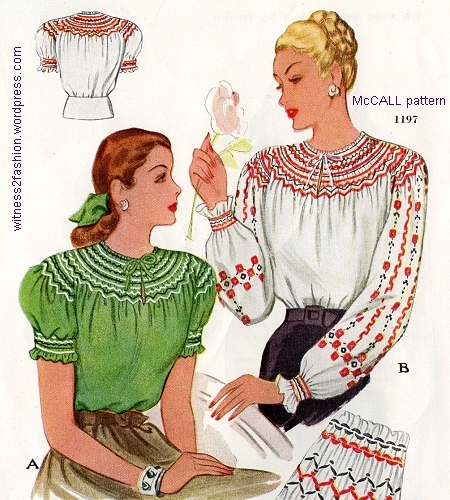 Butterick blouse patterns 7627 and 7625, December 1937. 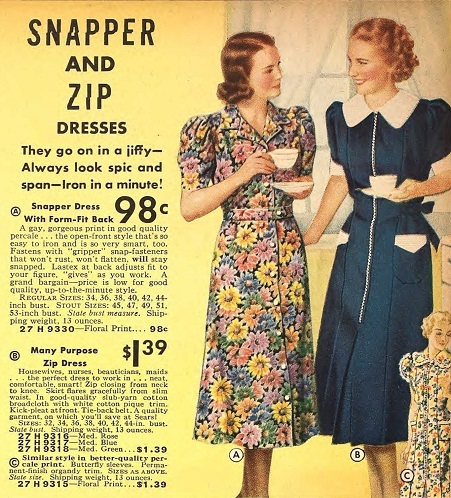 Both have snug waists and high necklines; the one at right uses metallic cloth. To see all these blouses in full color illustrations, click here. The alternate views show all three versions of Companion-Butterick 7630. 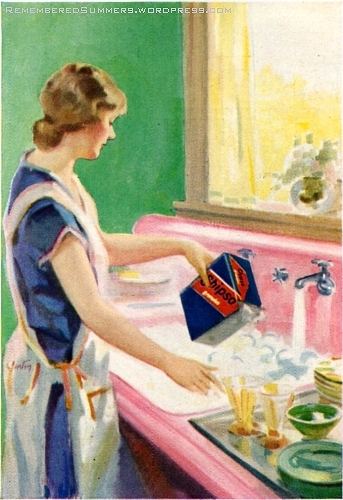 Many of the same patterns were illustrated in Woman’s Home Companion, November 1937. Companion-Butterick gowns 7624 and 7626. WHC, November 1937. 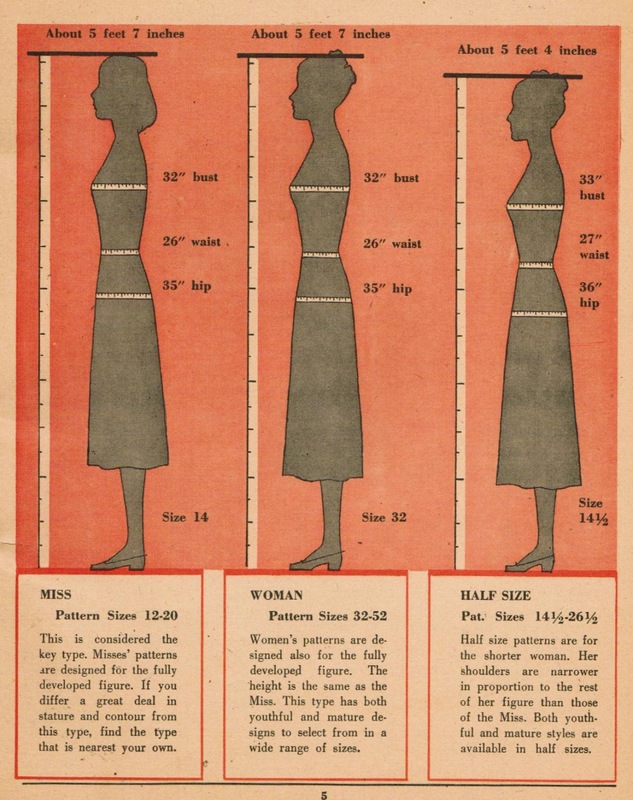 That corseted look: Companion-Butterick patterns from November 1937. It’s attributed to the style-setting Duchess of Windsor. 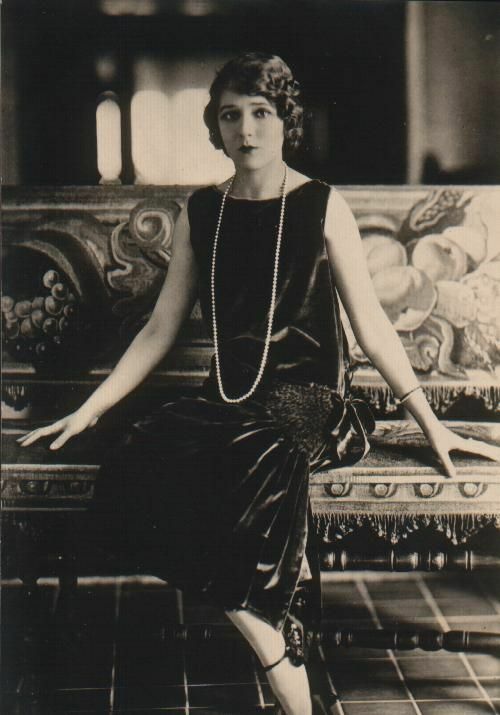 I’ve seen so many vintage late Thirties’ and early Forties’ dresses with this fitted midriff look that it’s nice to have a name for it.